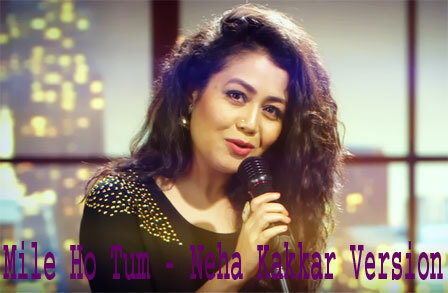 Mile Ho Tum Lyrics - Neha Kakkar Version: The song Mile Ho Tum as Reprise Version and Female Version by Neha Kakkar, voice also given by musician of this song Tony Kakkar. Mile Ho Tum song also known as Duet Song from Hindi Movie Fever. Lyrics and Music composed by Tony Kakkar. Movie starring Rajeev Khandelwal, Gauahar Khan, Gemma Atkinson, Caterina Murino & Victor Bannerjee.